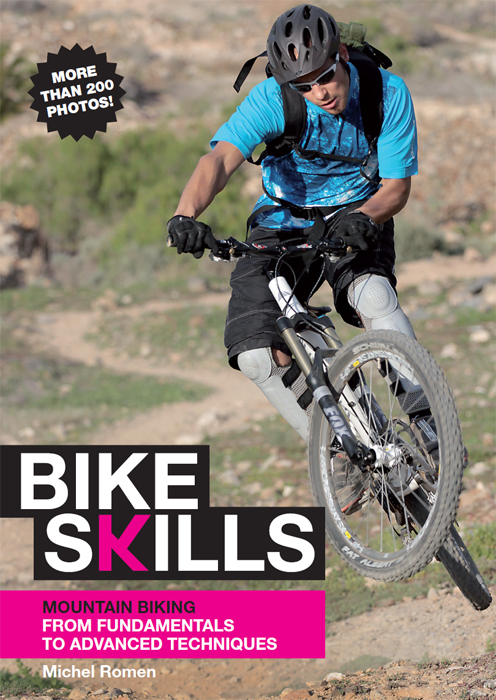 Bikeskills - The #1 Mountain Bike Book. Some media say it is 'required reading' for mountain bikers. 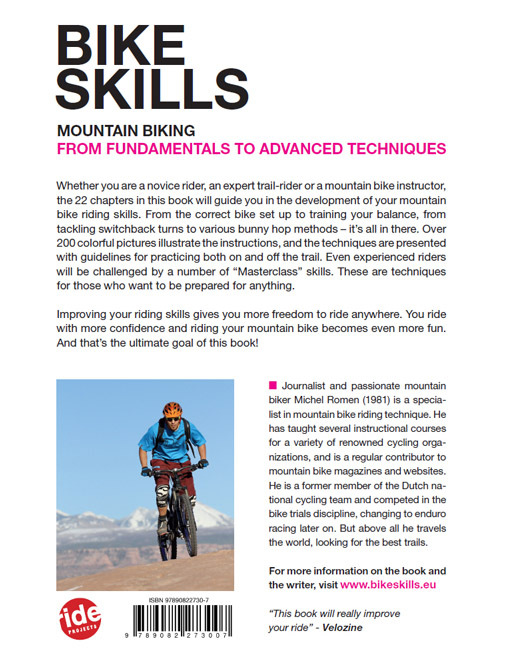 Bike Skills is the book that will help you improve your riding - wether you are a novice rider or an expert trail-rider. Download the eBook right now! Whether you are a novice rider, an expert trail-rider or a mountain bike instructor, the 22 chapters in this book will guide you in the development of your mountain bike riding skills. From the correct bike set up to training your balance, from tackling switchback turns to various bunny hop methods – it’s all in there. Over 200 colorful pictures illustrate the instructions, and the techniques are presented with guidelines for practicing both on and off the trail. Even experienced riders will be challenged by a number of “Masterclass”-skills. These are techniques for those who want to be prepared for anything. Refining your technique gives you more freedom to ride anywhere. 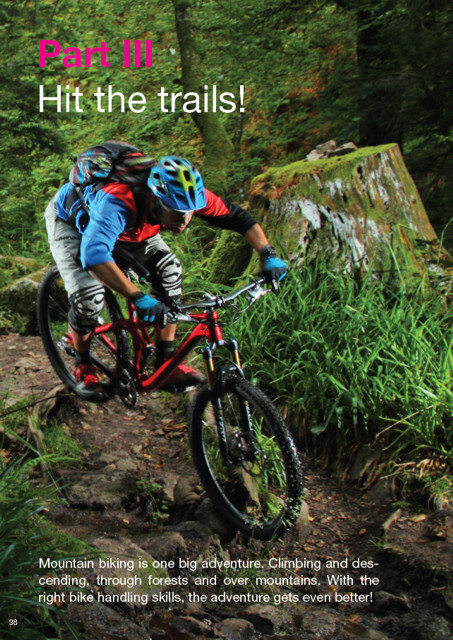 You ride with more confidence and riding your mountain bike becomes even more fun. And that’s the ultimate goal of this book! Writer and passionate mountain biker Michel Romen (1981) is a specialist in mountain bike riding technique. He has taught several instructional courses for a variety of renowned cycling organizations, and is a regular contributor to mountain bike magazines and websites. He is a former member of the Dutch national cycling team and competed in the bike trials discipline, changing to enduro races later on. But above all he travels the world, looking for the best trails. 1. To order, click the “Buy now” button and proceed to Checkout & Download. 2. Follow the instructions to complete your order. 3. 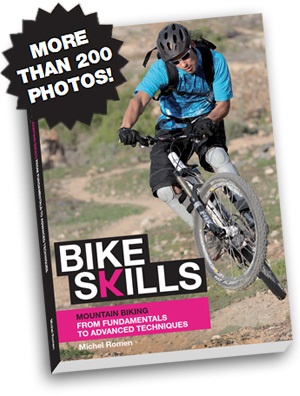 Upon return on the Bikeskills website, click the download link to download the epub file. Together with the order confirmation, you receive an email with the download link as well. You may download the epub file up to 3 times within 30 days (whichever expires first). 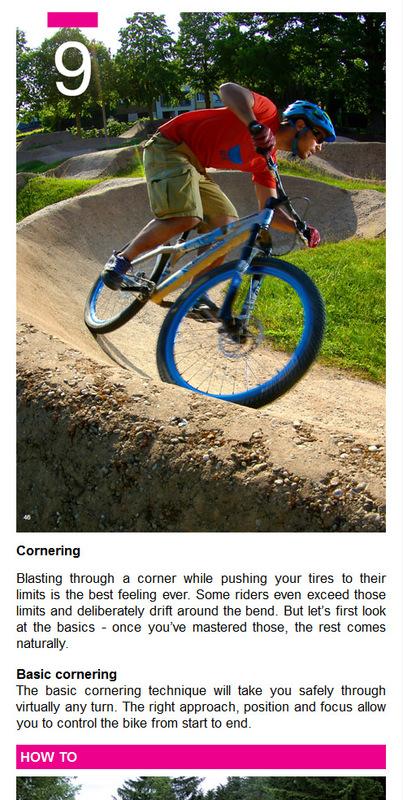 Bike Skills relies on the world’s #1 payment provider to process your payment. Through PayPal, you can pay either with your credit card (Visa, Mastercard, American Express) or with your PayPal account. Copyright: All rights reserved. No part of this publication, either text or image may be reproduced, modification, stored in a retrieval system or transmitted in any form or by any means, electronic, mechanical, photocopying, recording or otherwise, is strictly prohibited without prior written permission of the copywright owner, except in the case of brief quotations embodied in critical reviews and certain other noncommercial uses permitted by copyright law. You have no products placed in your shopping basket.